The McCouch Lab investigates natural variation in the genus Oryza, focusing on how it evolved, how it is distributed in both domesticated and wild Oryza species, how it conditions complex phenotypes and how it can be efficiently utilized in rice improvement. We have pioneered studies demonstrating that low-yielding wild and exotic Oryza species harbor genes and quantitative trait loci (QTL) that can be used to enhance the performance of modern, high-yielding rice cultivars. This work is done in collaboration with scientists and breeders in Asia, Africa, North and South America. The McCouch lab has NSF and USDA funded projects and collaborations. The central focus of the lab for the past seven years has been the NSF-funded Rice Diversity Project which studies transgressive variation in rice (NSF-TV). This project has purified a diversity panel consisting of 400 O. sativa and 100 O. rufipogon accessions, characterized the panel for genotypic variation, initially using an Affymetrix 44,000-SNP array, with a new high density rice SNP array in development. The study has also involved evaluation of phenotypic variation for 37 traits which was conducted at the USDA-ARS Dale Bumpers National Rice Research Center in Stuttgart, AR. 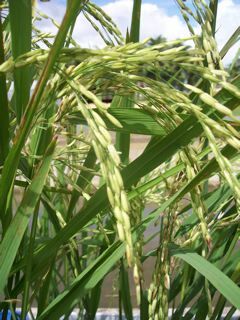 Under a USDA-AFRI grant, the lab designed and developed a 700K SNP genotyping array and genotyped, 850 rice samples, along with 80 samples from collaborators at NIAS in Japan, and 1440 additional samples from the International Rice Research Institute (IRRI). In collaboration with researchers at the USDA and IRRI, the McCouch lab developed a suite of "breeders’ mini-chips" using sub-sets of SNPs relevant to specific gene pools and subpopulations. In collaboration with Leon Kochian's lab and funded by a USDA-AFRI grant on aluminum tolerance, we have phenotyped the rice diversity panel for aluminum tolerance, root system architecture and micronutrient uptake and partitioning in rice roots and shoots (ionomics). Under a grant from the Global Diversity Trust, we are using genomic tools to develop novel genetic resources that can help us predict the effect of introgressing individual chromosomal segments from diverse wild relatives into cultivated varieties of indica and japonica rice. This is a collaboration with IRRI and the objective is to explore the genetic potential of wild and unadapted materials housed in our Gene Banks and to make a larger gene pool available for plant improvement. As a collaborator on a BBSRC-Gates funded project with the University of York in the UK and the Central Rice Research Institute (CRRI) in India, we will evaluate a library of chromosome segment substitution lines (CSSLs) for yield under drought in multi-location field trials in India and West Africa and will compare their performance to locally adapted controls. We will develop cost-effective SNP genotyping platforms for use in the breeding program in India to enable geneticists and breeders to efficiently transfer favorable O. rufipogon introgressions into diverse Indian rice varieties adapted to the rainfed lowland ecosystem. For much more information about our work, see our Projects page, and explore our Publications. The McCouch RiceLab, lead by Dr. Susan R. McCouch, is located in the Department of Plant Breeding & Genetics at Cornell University in Ithaca, NY.